Learn the basics and expand your knowledge with these essential websites and books. Attention InDesign users: we’ve gathered the best tutorials, books and other resources for InDesign on this page for your convenience. For those in graphic design, Adobe’s Creative Cloud is a suite of cloud-based applications that can help you create anything your clients may request. Prominent products include Photoshop and Illustrator for images, but another member of the Creative Cloud, InDesign, is no slouch, especially when it comes to creating more text-heavy documents (brochures, posters, and so on). You can export your final products in a variety of file formats, including the ubiquitous PDF. Read on to learn a little bit about the history of InDesign, and our favorite resources. InDesign’s roots begin with PageMaker, a rudimentary version of InDesign as it is today. Its interface was clunky, the final products were often garish messes, and, most importantly, its competitor, QuarkXPress, had way more features. The parent company of Quark attempted to buy Adobe and discontinue PageMaker, but this was a no-go. Instead, Adobe began to improve its PageMaker product so that, over time, it evolved into something that became a market leader (and was able to grab quite a bit of market share from QuarkXPress). InDesign is full of great features, and while this means that the program is super powerful, it also means that the learning curve can be quite steep. Luckily, there are all sorts of articles, videos, tutorials/how-tos, books, and other resources designed to help people get the hang of using InDesign. In fact, the sheer number of resources available is enormous, so we have compiled just a few of the very best out there to help you get started. Adobe InDesign Tutorials: Adobe’s in-house video and text-based guides, most of which are fairly short and simple, make it easy to begin learning InDesign. The 30+ tutorials range from beginner to expert. InDesign Skills: Intended for beginners who need to develop essential design skills, InDesign Skills provides “bite-sized” tutorials that are super easy to follow and laid out well. Experts may want to take a peek at this as well, since you may learn something new. Adobe InDesign Tutorials on Tuts+: Are you looking for something more specific, like how to make a resume or a classy Christmas card? Tuts+ tutorials show you how to recreate a specific document so you can develop your skills through direct learning. 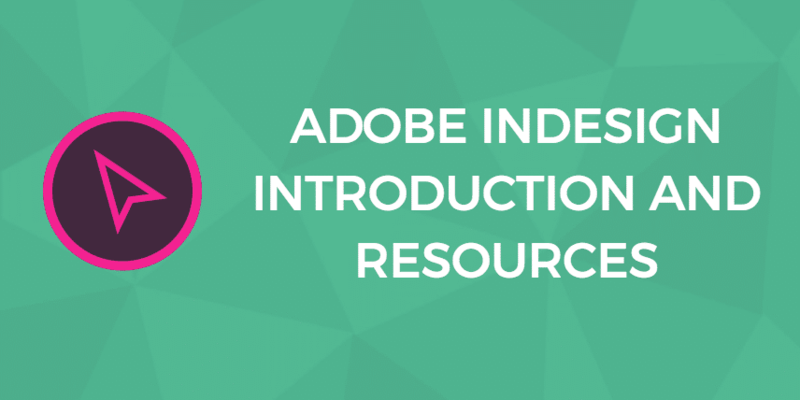 Most of these tutorials assume some prior knowledge of InDesign, but Tuts+ does have a few beginner’s guides as well. InDesign Training and Tutorials on Lynda: Lynda offers paid courses, but there are quite a few options available free of charge (including those on more advanced topics). The company’s videos are all less than 10 minutes long. Layers Magazine: If you are experienced with InDesign, you need guides that are tailored to the more advanced features you use. These video tutorials cover a broader range of techniques, though they are still simple to follow and understand. FluxConsulting: Need a quick cheat sheet? FluxConsulting has curated a document featuring quite a few short tips and shortcuts you will use again and again. InDesign Tips I Wish I’d Known When Starting Out: Even expert InDesign users occasionally find themselves learning about a nifty keyboard shortcut or a hidden use for a tool. This article on lessons hard learned is a great read whether you are new or just brushing up your skills. 4 Time-Saving InDesign Tips: Nobody wants to waste time; with clients banging at your door and flooding your email, it is hard to forget that you need to move fast. Fittingly, this article is a quick read, and you will save a lot of time by implementing its suggestions. MacProVideo: There is a small collection of tricks to be found here that are appropriate for intermediate to advanced InDesign users. Unfortunately, the authors rarely update the site, and some of these articles are on a bit outdated. Nevertheless, MacProVideo is still worth a quick scroll-through. InDesign Secrets: InDesign Secrets is a wonderful site that frequently posts new articles, tutorials, and little bits of advice. InDesign CS5 for Dummies (2010) by Galen Gruman: No list of this nature is complete without a book from the For Dummies line. This book is a great choice for absolute beginners. 10 Essential InDesign Skills (2016) by InDesign Skills: If you liked InDesign Skills’ online tutorials, then you will like its ebook. This book is created for beginner to intermediate users and covers topics pertaining to the entire design process. Real World Adobe InDesign CC (2013) by Olav Martin Kvern, et al: Geared toward design professionals, this publication is the expert’s resource for working with InDesign. It is a bit on the pricey side, but it is both detailed and easy to understand. It is hailed as the best of the best by a variety of sources. InDesignSecrets: InDesignSecrets is technically a magazine, so it is a great option for something a little easier to digest. InDesignSecrets contains everything from brief tips to in-depth tutorials. Official Adobe InDesign Forum: Adobe’s help forum is not the largest one out there. There is just one board for questions and answers, but it does not take too long to get a response. Bonus: you may get an answer from Adobe staff. This is a great place to get answers to your question, but those looking for discussions should look elsewhere. InDesignSecrets Forums: Another part of InDesignSecrets’ arsenal is its forum, where you can discuss InDesign, get help, and find plugins. It is not super active, but unlike Adobe’s forum, InDesignSecrets has boards for many different topics. Graphic Design Forum: Though not specifically for Adobe InDesign, questions and discussions on InDesign are more than welcome. This is a large, active forum and definitely a website worth visiting. Adobe InDesign Forum: The CreativeCow community, which is designed for media production professionals, offers a dedicated InDesign forum to its users. Adobe InDesign Forum: Tek-Tips’ sub-forum is similar to CreativeCow’s, but its content leans toward those who work in technology, not design. There are tons of InDesign resources on the internet, and to help you get started, we have singled out some of the best options available. Whether you are a beginner or an advanced user, there’s certainly something new for you in at least one resource above. Last update: Nov 14th, 2018 edits by Katherine Horne. Adobe InDesign Tutorials on Tuts+ screenshot licensed under Fair Use. 인디자인 편집 중 (Editing InDesign) by Jinho Jung under a CC-BY-2.0 license. 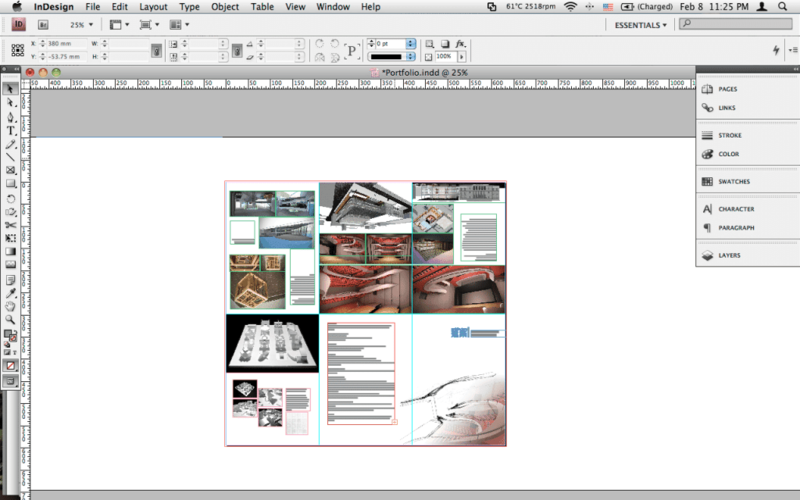 Making Portfolio in InDesign by FKHE under a CC-BY-2.0 license. Regrowing human limbs (InDesign Screenshot) by My name is Mike under a CC-BY-2.0 license. Next: Business Structures: Which Is Right For Your Startup?